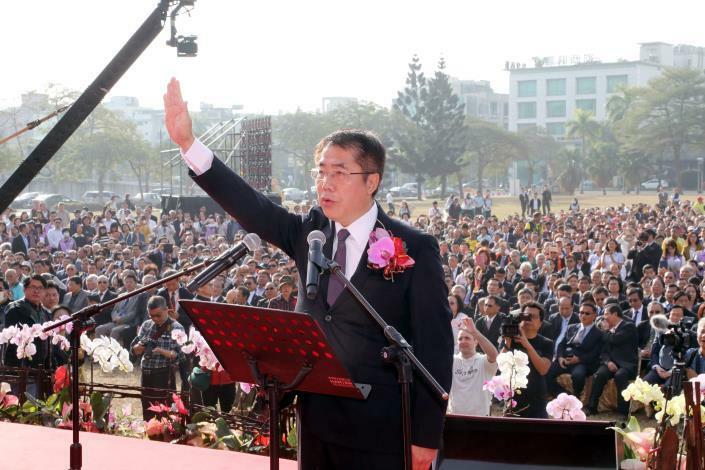 The Inauguration Ceremony of the Third Tainan City Mayor was held on December 25, 2018, at the Siraya Plaza of Tainan City Government Yonghua Civic Center. Tainan Mayor-elect Huang Wei-che, who received the office seal from outgoing Mayor Li Men-yen, declared that there will be no honeymoon phase or adjustment period for the new government team. 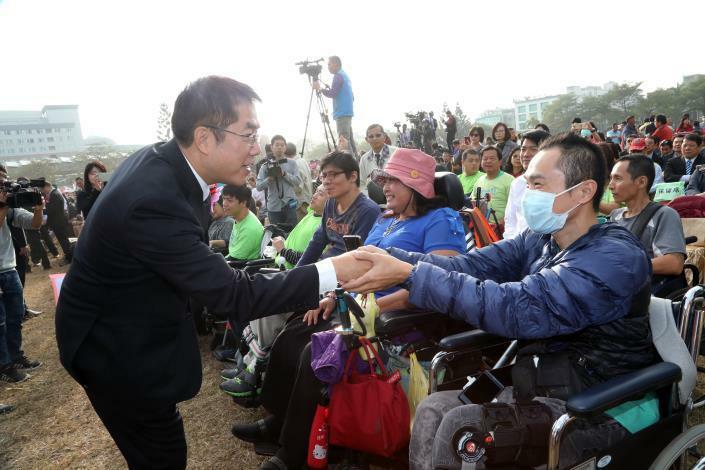 From day one, the Mayor and the entire team is ready to commit 100% to improve the lives of Tainan residents. 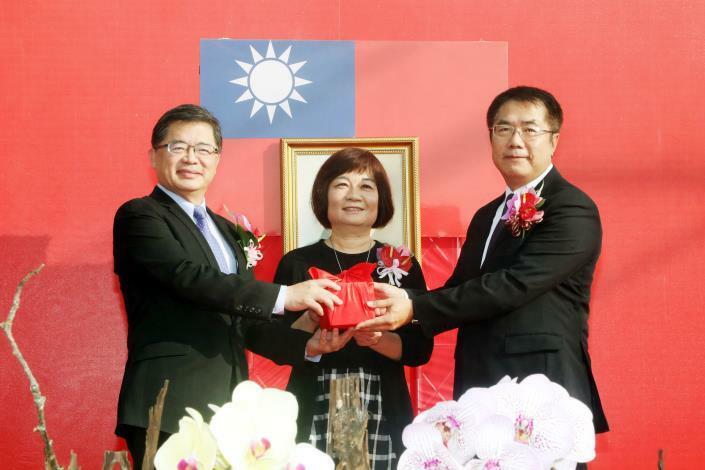 Minister of National Development Council Chen Mei-ling supervised the swear-in of the third mayor of special municipality Tainan City. Mayor Huang, along with his new government team and District Directors, then officially announced the start of their term. 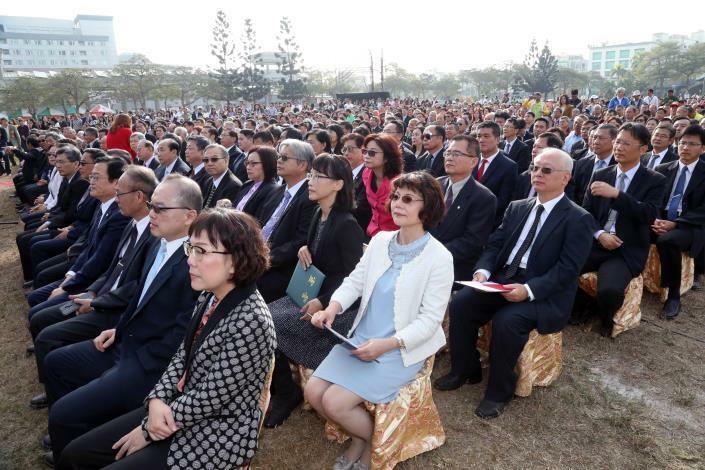 During the ceremony, Mayor Huang also issued Certificates of Election to sub-district Chiefs, showing all public elected officials have formally taken office and are ready to serve Tainan. 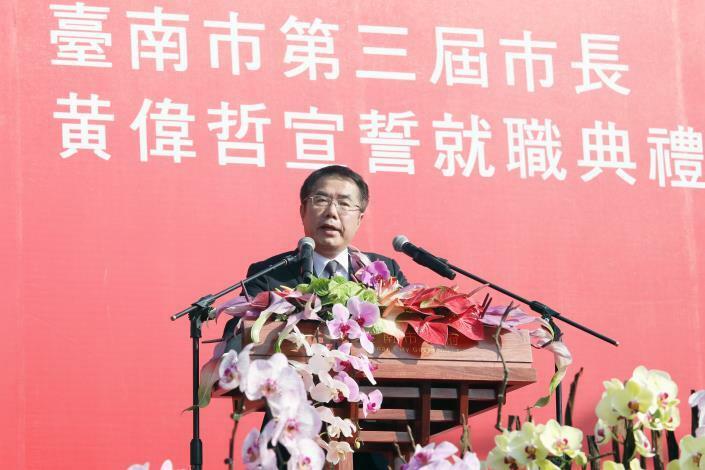 In Mayor Huang's inauguration speech, he announced the five main goals that he and his team will work towards: the new government team will leverage Tainan's “Culture Capital” background to further transform the city into a “Major Industry and Economic Hub” that can attract the younger generation to return and work and live here. In addition, they will transform Tainan into the “New Smart Capital” in southern Taiwan by drawing in foreign technology and talents. The city government will strengthen local industries and startups, and increase employment to build a “Revitalized City”, and make Tainan a “Hometown of Hope” by providing better services to the elderly and children. Huang remarked that since Tainan is our hometown and the culture capital of Taiwan, the city government will work hard to let citizens feel happier, safer, and proud of their hometown. The Mayor and team are dedicated to safeguarding the local culture, environment, and residents, and to making the local people proud of Tainan. He compared city governance to a running train: the only way to go is to go forward. He expressed that the new government team will continue to care about the land and people, work on eliminating bureaucracy, and roll out policies that will win the citizens' confidence. Minister Chen listed out her three expectations of Mayor Huang: first, to only think about the Tainan citizens as the prosperity of the Greater Tainan region can only be realized through selflessness. Second, city governance is a professional task; therefore in addition to launching policies that comply with regulations and listening to the voices of the people, the team should also respect feedback and suggestions from professionals in different fields. Third, the new team should leverage the foundation former Mayor Lai had built during his eight-year term and continue to develop and expand policies so that Tainan can advance and have a stable governance system with integrity. She pointed out that these are all in line with Huang's campaign slogan: "do better, live better". Former Acting Mayor Li expressed his best wishes to Mayor Huang and his team. He hopes that they can keep on serving the public, listen to the people's voices, maintain values, and develop new opportunities. Li believes the new government team will lead Tainan to prosperity and make the city a livable and better place to work and live in. 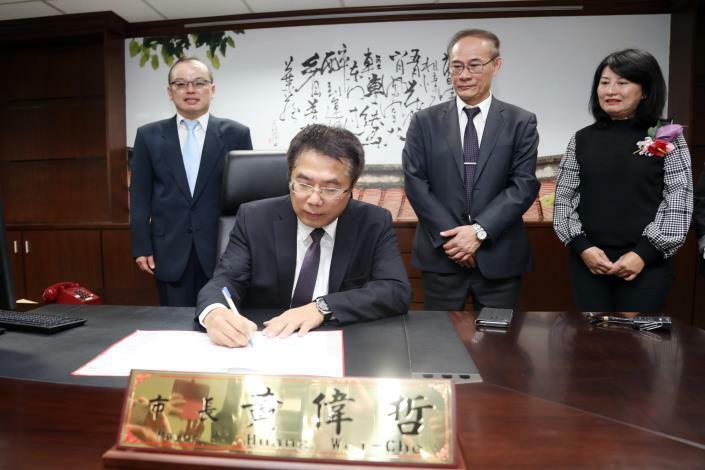 After the ceremony, Mayor Huang immediately went to work and signed his first official document: a request to the Industrial Development Bureau of Ministry of Economic Affairs to deny the extension of he Longqi District landfill development contract in order to protect the world-class natural landscape of Liji Badlands ("Moon World").